Building a custom home is typically the largest investment of time and money our clients ever make on a single endeavor. 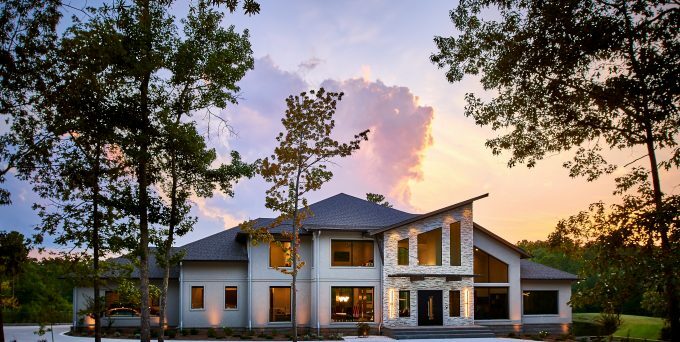 Start to finish, a truly custom home project can take anywhere from 8 months to two years or more depending on level of complication and preparedness. During homesite selection, design, and specification development, every decision has an opportunity cost – saying yes to one option will undoubtedly close doors on others. Additionally, it can be challenging to decide which options deliver the highest value for you and your family. All this said, it’s important to be prepared from the onset to avoid “paralysis by analysis” during construction as much as possible, which can prove frustrating and expensive. 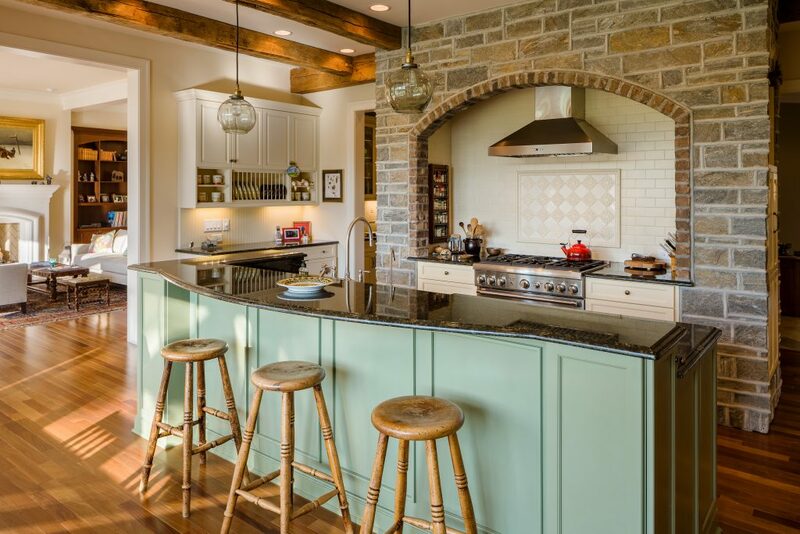 Here are crucial planning tips for a successful custom home design-build experience. Select the right homesite. When looking at lots, consider the topography, orientation, soil composition, and tree makeup before purchasing. If a walkout basement is desirable, then a lot sloping toward the rear of the property is appropriate, and conversely a flat lot is ideal for non-basement homes. Don’t assume that you can cheaply accommodate the house to the slope, or drastically alter the topography of a lot – it’s easy to spend tens of thousands on earthwork and raised foundations. This can render a discounted sloping lot more expensive than better options in the long run. Southern sun exposure is another factor to consider: Where would you prefer low winter sunlight beaming through your yard and house? For energy conservation and coziness, winter sun through main living area windows is ideal (don’t worry; modern windows shield the harmful sun rays). Lastly, peer beneath the earth if you can – drilling wells, digging foundations, and laying out a septic system is particularly difficult and expensive in rocky soils. Hiring a soil scientist during due diligence is worth a couple hundred if there’s a suspicion of poor drainability or shallow bedrock. Work with a lender that offers construction loans. Lenders that offer Construction-to-Permanent mortgages are the best option for financing custom home projects. These mortgages allow you to lock in your rate and close on the land and home before construction begins. This means that you will be able to move in as soon as a certificate of occupancy is issued, and you can rest assured that releasing of funds won’t be the cause of any construction delays. Know how you best use living space. What are your ideal goals for daily living? Drinking morning coffee on the screened porch and grilling by the pool, or reading a novel in the conservatory and trying new recipes in a chef grade kitchen? Of course, it would be nice to have it all and a movie theater too, but the budget might disagree. It’s important to rank floorplan and outdoor living features based on your use and enjoyment of spaces, so that during design you can decisively omit lower ranked items to hit the budget if need be. Perhaps the movie theater will be used 45 days out of the year while the hearth room entertainment center will be used 200 days out of the year. Another option is to design your home with future expansion in mind; for example, prewire for a movie theater with plans to finish it several years later. Communicate often. During design, open communication about financial goals and constraints will enable a design-build firm to hone in on a plan that fits your style and budget, hopefully avoiding sticker shock at contract presentation. Throughout construction, frequent communication and questioning helps avoid mistakes and delays. If you don’t fully understand something in a phone call or email, ask to meet on site to discuss and decide in person. It’s always cheaper and less frustrating to get it right the first time rather than to tear something out and rebuild it.